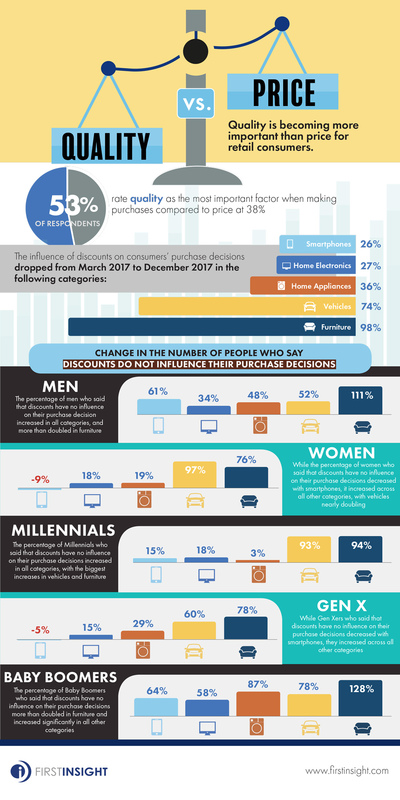 More than half (53%) of consumers rate quality as the most important factor when considering a purchase, compared to 38% for price. Shoppers' desire for higher value rather than a lower price may be draining discounts of their power to motivate a sale. Learn more in this infographic from First Insight.